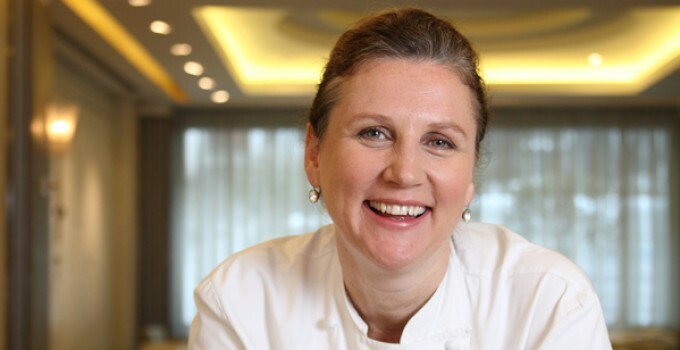 In recent years, Angela Hartnett has emerged as one of Britain’s most successful, best-loved and busiest chefs. Having spent many years working with Gordon Ramsay Holdings, Angela parted ways in 2010 when she took overall control of Murano, a fine-dining Italian restaurant in the heart of London’s Mayfair. In January 2011 Angela began working with Smart Hospitality and she, together with her head chef at Murano, Diego Cardoso, have overhauled the daily changing menus at Whitechapel Gallery Dining Room. Angela is a regular on TV and the author of two cookbooks, Angela Hartnett’s Cucina and A Taste of Home (both published by Ebury).